I have a lot of Celtic Harp music. I used to love playing Irish fiddle tunes with other musicians. When I listen to Irish music, I can barely keep my fingers still. I think I put them to good use as I listened to harp music the other day. With a dip pen in my hand, my pen followed along with the embellishments of the music. The water coloring came later, and was more deliberate. 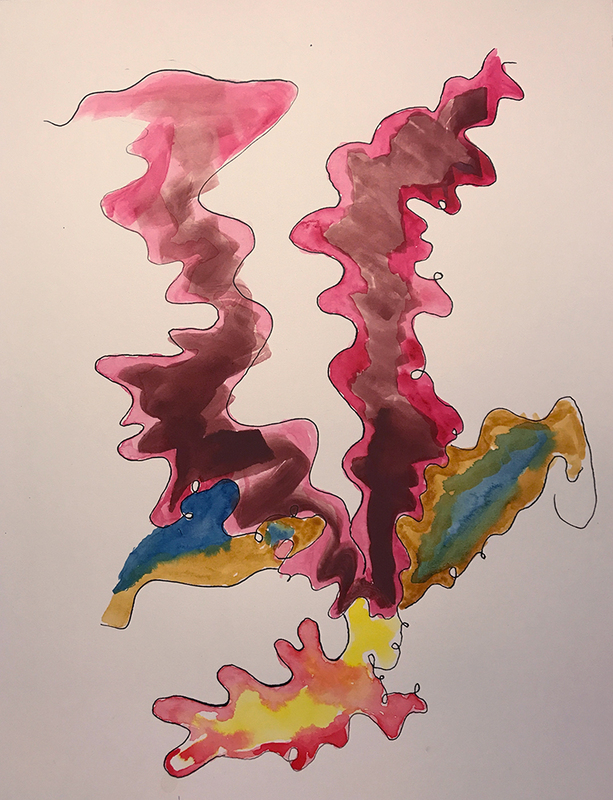 This entry was posted in Personal Stories and tagged abstract art, art, artistic process, celtic harp, creativity, Irish music, music, painting, visual arts, watercolor. Bookmark the permalink.